Swiss-Belhotel Executive Card (SBEC) offers guests generous discounts and members-only privileges. For high res image please click here. The Swiss-Belhotel Executive Card (SBEC) is particularly popular across Asia where the group has a significant number of quality hotel properties serving business and leisure travellers in key destinations. 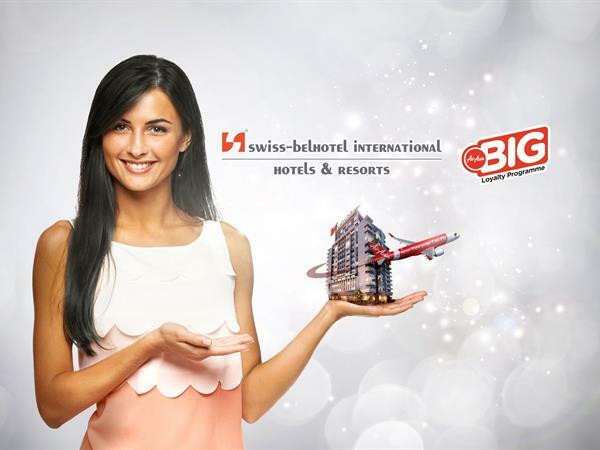 Swiss-BeIhotel International currently manages 60 operating properties around Indonesia, where SBEC members enjoy a 25% discount on room rates nationwide. With such generous discounts the SBEC loyalty card has enjoyed a steady increase in demand from customers in Indonesia. Senior level professionals, including the Deputy Director of Marketing for Indonesian Tourism, use the loyalty programme to benefit from a suite of members-only privileges and enhance their busy travel schedule around the country. "The SBEC is a real advantage for constant travellers like myself who appreciate added value and special touches to make our trip go that little bit more smoothly," said Bapak Tazbir Abdullah, Assistant Deputy for Development of Domestic Business and Government – The Ministry of Tourism of the Republic of Indonesia. Swiss-Belhotel International currently manages a portfolio of more than *135 hotels, resorts and projects located in China, Vietnam, Philippines, Malaysia, Indonesia, Bahrain, Egypt, Iraq, Kuwait, Oman, Qatar, Saudi Arabia, United Arab Emirates, Australia, New Zealand, Bulgaria, Turkey and Georgia. Awarded Indonesia's Leading Global Hotel Chain for six consecutive years, Swiss-Belhotel International is one of the world's fastest-growing international hotel and hospitality management groups. The Group provides comprehensive and highly professional development and management services in all aspects of hotel, resort and serviced residences. Offices are located in Hong Kong, New Zealand, Australia, Europe, United Arab Emirates, China, Indonesia and Vietnam.